Two words about furniture: Killing machines. It's not their best, or even their funniest, but it's decent nevertheless. The 'YOLO' references throughout the song also get a bit annoying after a while.<br><br>EDIT: Starting to like this. But I think that Kendrick Lamar's part is definitely the best part of this song. 3* -> 4*. ▒ Strontvervelende plaat uit januari 2013 ☺!!! Stunning form, Mr. Levine! The Lonely Island aren't all that reliable either, but this one pulls through. Kendrick Lamar's part is amusing too. 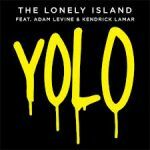 I was very much over the phrase "YOLO" by the time this song came out. I'm very well past that stage now thankfully. This is obviously pretty silly but that's the point so I can't be too harsh on it anyway. But like a lot of The Lonely Island songs The Lonely Island do get a bit frustrating to listen to, and Adam Levine is pretty annoying right from the get go. Kendrick's part is the best although I'm still disappointed that his appearance here gave me the impression he was (to put it in the words I would've used back then) overrated. Not really horrible but I don't need to hear it again for a while now. The instrumental could've been better. Grappige en leuke plaat van The Lonely Island, Adam Levine en Kendrick Lamar, zal erg leuk zijn als dit een hit werd. Eh, there was one line I found funny and that's about all I got out of it. Oh, and that Adam Levine is way better than Kendrick Lamar. Inderdaad een strontvervelende plaat. Bagger! I actually found this one entertaining, their best by far. Yes, better than their other songs for sure. kommt ein buddhist um die ecke und sagt: YOLO!